On behalf of the Long Beach Airport team, it has been my privilege to welcome you to sunny Long Beach, California. After nearly a year of planning and working alongside ACI-NA, we are so pleased to have you in our city. 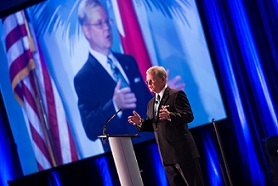 ACI-NA’s Annual Conference & Exhibition is the premier event for the leadership of North America’s airports. In addition to unparalleled networking opportunities, this conference has provided attendees with the chance to explore the latest trends in airport management and operations through interactive programming and the award-winning exhibition hall. I hope you have enjoyed our wonderful city. You may know your IQ, but do you know your EQ? Dr. Travis Bradberry, the pioneer behind the ‘emotional intelligence’ (EQ) metric, says that maintaining a high EQ can help people both personally and professionally and is a better indicator of life successes. 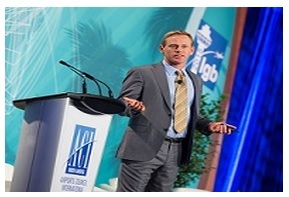 In his engaging and eye-opening keynote address on Monday, Bradberry, co-author of Emotional Intelligence 2.0 and co-founder of TalentSmart, defined emotional intelligence for ACI-NA members and explained its importance. In non-clinical terms, emotional intelligence is the interaction between emotion and reason. For some, the pathway between these two areas of the brain is a superhighway with no obstacles. For others, it’s a rutted, bumpy road. But there’s hope. By mastering four core skills, according to Bradberry, people can harness their emotions and channel behaviors appropriately. The business implications of possessing a strong EQ are significant. Sixty percent of job performance is impacted by EQ. In addition, a staggering 90 percent of top performers are high in emotional intelligence. Therefore, recognizing and promoting an individual with a strong EQ will further strengthen one’s core team and continue to build a strong company culture. The key, says Bradberry, is practice. The skills need to be habitual in order to be developed. Lean into the discomfort and practice the behavior. The last eight years have been difficult for many airport communities in retaining existing air services as airlines consolidated, exercised capacity discipline and changed aircraft types. Therefore, it seems appropriate that the ACI-NA Conference would kick off Monday morning with an educational session covering some new options for airport directors to consider. Surf Air, a membership-based airline, sells no tickets. Instead, they sell memberships, and with these, travelers can fly unlimited on a private aircraft to and from airports served in California. According to Mac Kern, vice president of commercial planning, Surf Air, members have access to a proprietary booking system and a private terminal building. While this model is geared toward the business professional and flies mainly between Southern California and the San Francisco Bay Area, the company is diversifying destinations for its members and also has a few high-end leisure destinations. While currently serving only California, the company is looking to expand outside the state soon. Christina Cassotis, CEO, Allegheny County Airport Authority, is no stranger to wrangling with challenges as an airport professional. In her position, she oversees Pittsburgh International Airport and is successfully leading a transition from a mega-connected hub to an O&D facility. The airport needed to position itself so rates and charges were competitive, and that required outside-the-box thinking. Her first task was to create a cohesive staff consisting of team players who understand why the airport considers air service such a high priority and how each of them contribute to the overall success. According to Cassotis, all 400 employees, no matter their title or job, are brand ambassadors to the larger community around the airport. When everyone understands what the airport is doing and why, it’s more effective. OneJet is one of Pittsburgh’s partners. They provide nonstop flights to regional smaller volume markets. Matt Maguire, president and CEO, says there is a tremendous opportunity out there to do this. The airline sells tickets through regular channels and operates from main terminals. 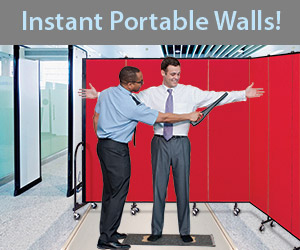 Passengers enter through normal gates and arrive at a full check-in lobby. For airports like Pittsburgh interested in this type of service it’s important to note that the fee structure needs to be flexible for a seven-seat aircraft. Rise of the Drones - What Do Unmanned Aircraft Systems Mean to You? With over 1 million drones expected to be sold this holiday season, airports must accept that drones are here to stay. Drone use varies from professional endeavors to extreme hobbyists. So how does the industry regulate them? 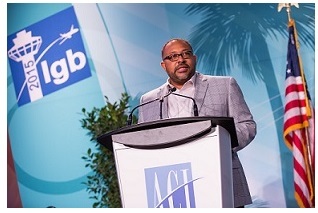 Aviation leaders met on Monday at the 2015 Annual Conference and Exhibition to discuss the next steps regarding small unmanned aircraft systems (UAS). The leaders agreed that U.S. and Canadian airports must be active in working to ensure that rules and safety initiatives are adopted and enforced to eliminate the risks associated with drones. It was standing room only for the session from Airbus and Boeing yesterday, when representatives unveiled the latest products in progress. Daniel Cohen-Nir, senior airport director, programs and environment affairs, Airbus Americas discussed the company’s A320 family. The demand for these aircraft was so high in the North American market the company recently opened a production facility in Mobile, Alabama to help fulfillment. The first aircraft will be completed in nine months and delivered to JetBlue. The A320neo (new engine option) is the latest innovation by Airbus and will be 20 percent more efficient than the 320 that’s currently being delivered. Karen Dix-Colony, lead engineer, Boeing Airport Compatibility Engineering, discussed Boeing’s 777 program which includes the 777-9x and 777-8x. Dix-Colony and her team have been meeting with airport regulators since 2012 to discuss airport compatibility for the 777x in order to assist airports with their design decisions. The 777-9X will have an all new composite wing, with a new system of a folded wing tip. Both panelists acknowledged that planes are not getting smaller. According to Cohen-Nir, the number of flights may be decreasing but passenger capacity is increasing. Airports should prepare. Marshal Cohen, chief industry analyst of The NPD Group, Inc., is a nationally known expert on consumer behavior and the retail industry. He has followed retail trends for more than 30 years at NPD as the head of leading fashion and apparel manufacturers as well as major retailers. As part of his work at NPD, Marshal leads many top firms in long-range and strategic planning sessions. He often utilizes motivational presentations to help launch corporate goals and kick-off meetings. Marshal is the author of two books, Why Customers Do What They Do (2006) and Buy Me! How to Get Customers to Choose Your Products and Ignore the Rest (2010). Just because you’re at a conference doesn’t mean the world stops. Centerlines LIVE will continue providing the latest industry news while Centerlines Today is on hiatus. This section will feature the latest industry news so you don’t miss a beat while networking with old friends and new connections. To enhance your conference experience, ACI-NA introduces the ACI-NA Conferences app! Available to all registered Annual Conference attendees, the ACI-NA Conferences app engages attendees and gives them the latest Annual Conference information on their mobile devices and tablets. Search the participant list, connect with attendees, customize your agenda, and much more! Get the app now by searching "ACI-NA Conferences" in the App Store or Google Play. The 2015 ACI-NA Annual Conference and Exhibition app is sponsored by CH2M. Stop by the Advocacy Center in the registration area to educate your member of Congress about the economic importance of airports and airport priorities in FAA reauthorization. Then, sign our petition at UpgradeMyAirport.com to tell Congress, "Enough is Enough!" Be sure to tweet comments and photos leading up to this year’s annual conference. Mention @airportscouncil and use the hashtag #airports15 and you may be the lucky recipient of a great giveaway! Check out the full 2015 Conference agenda here. Building a Sustainable Workforce – Talent Farming Versus Talent Hunting: A new approach to sourcing talent might be necessary to increase the likelihood that airports have access to the talent necessary to execute their business strategy in the 21st century. Shifting an airport’s focus away from hunting for talent only when there is a specific need toward farming for talent, always and in all ways, should be considered. Innovative talent sourcing strategies, to sustain an organization’s talent pipeline, are essential to building a sustainable 21st century workforce with the skills necessary to execute current and future business strategies. Safety Management Systems – View from the C-Suite: Like it or not, safety management systems are here to stay the aviation industry. With Canadian airport SMS programs well established and US airport SMS programs pending, this panel will discuss airport leaders’ view of these programs, the value they provide, and the extent to which they see them altering the senior management’s involvement in airport safety. Airport Forum with FAA and Transport Canada: Join us for this perennial Annual Conference favorite, which provides you with the opportunity to interact face-to-face with senior officials from both Transport Canada and the FAA. In this year’s session we will be focusing ongoing regulatory efforts from both agencies, key environmental and policy initiatives, and airport funding. Bring your questions and concerns for an engaging and informative discussion. 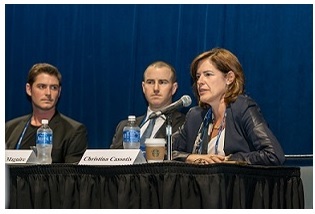 Airport Forum with TSA and CATSA: As airports respond to myriad of security challenges on a daily basis, including the evolving threats that necessitate enhanced security measures, close coordination with TSA and Transport Canada is essential. Only through strong industry/government partnerships can the aviation community succeed in expanding risk-based security policies and measures that maximize effectiveness and efficiency while considering unique geographic and operational differences between airports. Don’t miss this opportunity to talk directly with senior TSA and Transport Canada representatives about strategies to enhance the security of the aviation system.